Hoooo, boy – are you in for a treat! This dark and decadent Cab is flowing with sumptuous layers of black cherries, inky berries and a long, warm, spicy finish. Jose harvested Cabernet from Gualtallary, a teeny-tiny corner of Argentina’s top wine region – where high-elevation and rocky soil gives grapes rich flavor (and makes for intense-yet-elegant Cab!). You’re getting this scrumptious red for less than 14 bucks - where similar bottles go for upwards of $100! Snag a bottle (or two) and be an instant dinner party hero. Fruit-rich but still refreshing, this premium Syrah is full of fresh berry flavors – and then comes the whopper finish, thanks to 12 months of oak barrel aging! Angel legend Mauricio harvested this Reserve from the tippy-top of Uco Valley, Mendoza – from a vineyard at 3,400 ft! Intense sun and epic alpine winds made these Syrah grapes hearty and strong... and oh yeah, delicious. Vista Flores might ring a bell – it's the prestigious sub-region that brought BIG international winemakers to Argentina, like Rolland and Rothschild. 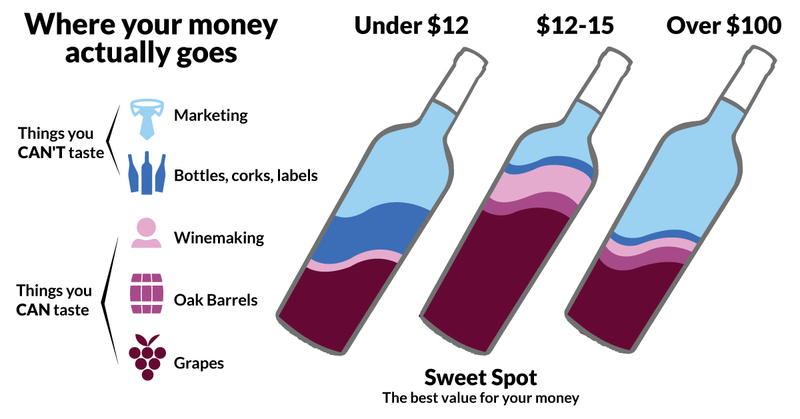 You’re getting that same top-dollar fruit – and top-dollar winemaking – for a knockout price. My-oh-my, Mauricio's Cabernet is seductive – smooth and spicy, like roasted red peppers fresh off a sizzling grill. And it’s super complex, from its time aging in deluxe French oak. Harvested fresh off an Uco Valley mountaintop in Mendoza – from a vineyard at 3,400 ft! This coveted Cabernet region makes wines *some* might call “full-bodied and complex.” Mauricio calls them deee-licious. Vista Flores might ring a bell – it's the prestigious sub-region that brought BIG international winemakers to Argentina, like Rolland and Rothschild. You’re getting that same top-dollar flavor and winemaking expertise for a fraction of the price!